The Canary Islands were named after a large breed of dogs which had been on the island since Roman times. In the 1800’s they were bred specifically for dog fighting. Some people even refer to this breed as a Pit Bull on steroids. The Presa Canario dog variety became notorious in San Francisco in 2001 when two of these dogs mauled and killed a woman; the owners of the dog were arrested and convicted of the killing. The Canary, a greenish–yellow finch with brown streaks, was in turn named after the islands. Canaries were first domesticated in the 1600s and selected for their colors and singing ability. Years ago, singing canaries were popular. A radio show in the 1940’s featured dozens of canaries singing along with classical records. There was even a canary song training record you could use to teach your canary to sing . This popularity led unscrupulous pet shop owners to inject both male and female canaries with testosterone, the male hormone that induces singing (and other courtship behavior). After a few weeks, however, the canary’s owner became disappointed at the bird’s cessation of singing as the hormone wore off. Canaries were for years kept in cages in coal mines. Since birds are more sensitive to increasing levels of methane and carbon monoxide gases, the gases would kill them before the miners were affected. Hence the saying “canary in a coal mine” came to mean an early warning system. 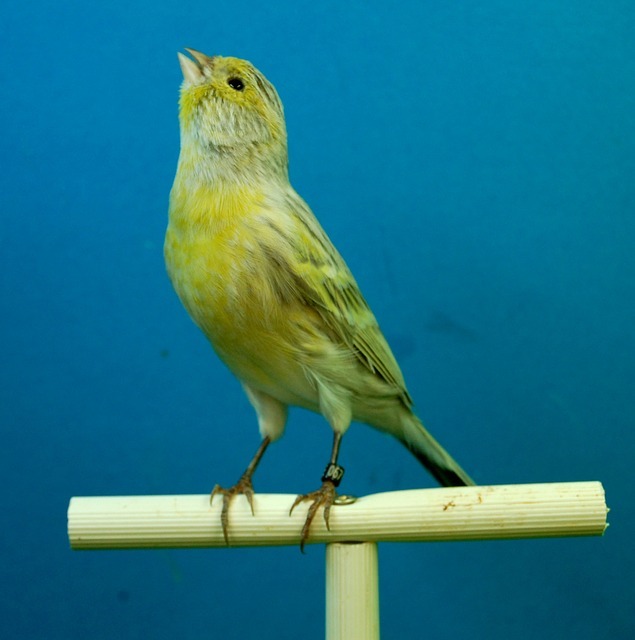 Canaries, easy to keep in captivity, have been extensively used in research to study the development of new neurons in the adult brain, and also for understanding how songbirds encode and produce song. Canaries have served as model species for discovering how the vertebrate brain learns, consolidates memories, and recalls produces coordinated motor movements. There are seven Canary Islands, and 80% of their income comes from the 9.2 million tourists who come each year. Obviously, tourist facilities and crowds have impacted the native attractions and have reduced bird habitats, but on one island, some of the natives still speak the native language of Silbo, which consists entirely of whistles; seems appropriate for the Canary Islands. how did canary birds come to Britain – do you know roughly the date? Do they ever migrate further afield from the Islands unaided? My grandfather used to breed Canaries and they are rather exquisite creatures – when did they become popular as pets?